This week Xiaomi Released MIUI 7 for many devices , But there was a big disappointment as the MIUI 7 version was based on Android 4.4.4 Kitkat for some devices and 5.0.2 Lollipop For Some devices . MIUI 7 which is based on Android 4.4.4 Kitkat , is an update over the previous MIUI 6 which means , MIUI 7 = MIUI 6 + New Theme . 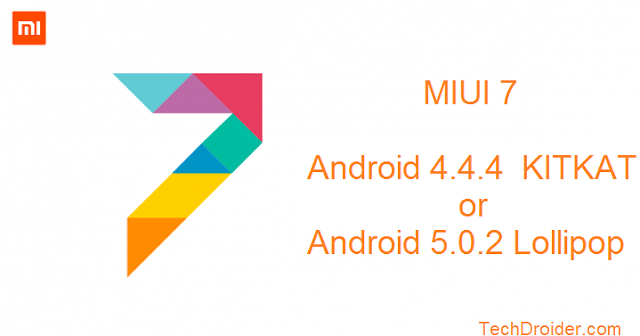 Where are MIUI 7 which is based on Android 5.0 Lollipop , comes with many changes . But MIUI 7 is only available for two devices . So , comment whether you are getting Lollipop or Kitkat ? it is normal to have miui 7 of kitkat on my mi4W top of the range? It is very weird as company xiaomi.